Recent government figures show a 13% rise in the number of vacant homes over the 12 months to June 2018. This might sound like good news for home buyers and renters, however it depends on where you hope to live. Drilling down to a regional level, home-shortage hot spots begin to appear. 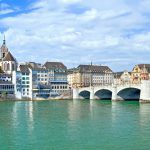 Greater Geneva (0.6%) and Lausanne (0.7%) have the lowest vacancy rates, followed by greater Basel (1.0%), Zurich (1.0%) and Bern (1.2%). Drilling down further to the 392 municipalities with populations over 5,000, reveals even greater differences. Three towns (Horw, Hünenberg, Bourg-en-Lavaux) have no vacant properties, 37 places have rates less than 0.5% and 138 places have vacancy rates less than 1%. 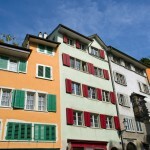 Municipal-level figures reveal how much tighter the property market is within official city limits in Switzerland’s main centres. 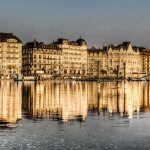 Vacancy rates in the municipalities of Zurich (0.2%), Basel (0.7%) and Bern (0.4%) are far lower their greater-city rates – the rates for Lausanne (0.7%) and Geneva (0.6%) are the same. Moving out of main centres doesn’t always improve the odds of finding a place to live. Some communes near large cities can be worse. For example, Crissier (0.1%) Ecublen (0.2%) and Prilly (0.2%), all close to the municipality of Lausanne, have far lower vacancy rates than the municipality itself (0.7%). Of the nearly 53,000 homes across these ten communes, only 53 were vacant on 1 June 2018. At the other end of the spectrum are 14 municipalities with vacancy rates above 5% and 25 with rates above 4%. Of the roughly 42,000 homes across these ten communes, 3,098 (7.3%), or 1 in 14, were vacant on 1 June 2018. The Federal Statistical Office provides a map showing vacancy rates by municipality, including those with populations below 5,000. So, if you want to live in the towns of Vétroz (10.3%), Moutier (9.8%) or Zuchwil (8.4%), you could find yourself spoilt for choice. 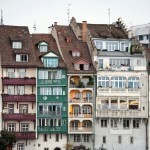 However, if you have your heart set on living in Horw, Hünenberg or Bourg-en-Lavaux, where there are no vacant homes, you might be waiting a long time. 1 Number of vacant properties as a percentage of total housing stock.